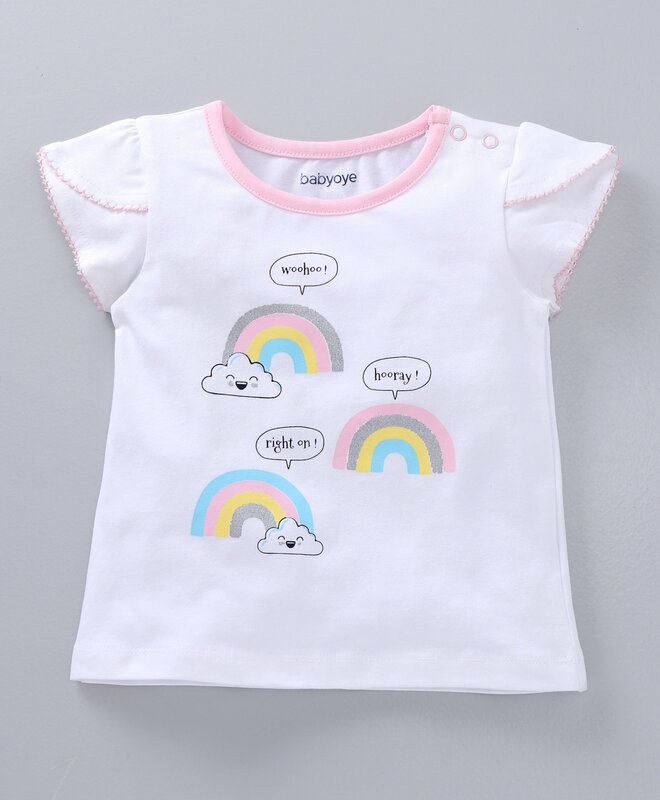 Babyoye presents this soft and comfortable short sleeves Tee for your little girl. Cute Rainbow print on solid colour base makes it look stylish. Round neck and pull over style with shoulder snap button closure ensure fuss free dressing. The soft fabric of the top will keep your child comfortable all day long.